Airport transfers and resort transfers to and from all Tarentaise resorts. Also serving Moutiers, Aime, Laundry and Bourg St Maurice train stations. What better way is there to get to your skiing or snowboarding holiday than in one of our private transfer 8 passenger minibuses? Our vehicles are modern and comfortable, and air conditioned. Sit back and relax and we will get you to the front door of your destination. Our minibuses will also be equipped with audio cables should you wish to have your own music played on the journey. 1st Lifts Airport Transfers is an airport transfer service based in the Peisey Vallandry area of the Les Arcs Paradiski resort. We also offer airport transfer services in the Espace Killy (Val d’Isere and Tignes) areas, and the 3 valleys (Meribel, Courchevel and Val Thorens) areas, and other resorts in the Haute Tarentaise. If you cannot see the resort that you wish to travel to please email us for a quote. 1st Lifts airport transfers always offer an efficient and friendly transfer service, serving all local international and regional airports. We only use modern, properly maintained and equipped vehicles, transporting you in comfort and safety between your chosen airport, or rail station, and your holiday accommodation. Just follow the links in the menu on the right to choose and arrange your transfer with us. 1st Lifts equals 1st class customer service making sure you have the best Transfer Service Experience possible. 1st Lifts airport transfers is an British owned, French registered company operating transfers all through the year within the French Alps. With over 10 years ski-resort experience and a background in professional driving you can count on us to get you to your destination safely and comfortably. 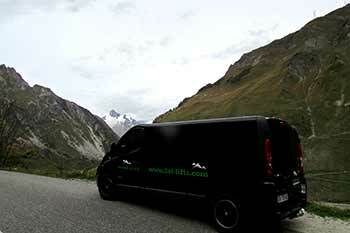 1st-Lifts is fully licensed and insured complying with all French/EU road transport regulations. We do not use automated systems as we prefer to offer you a more personal service. This system will take a little more time than just filling in a few boxes but will ensure that you get the best possible service. You can then relax knowing that this important part of your holiday travel is to be taken care of by a reliable, reputable and, most importantly a fully licensed and insured French-registered legal company.